Yesterday we visited Monistrol de Montserrat at Bages in Barcelona province and took some pictures of XIII Fira de la Coca i el Mató (a small market held once a year to sell local products, mainly coca - very similar to pizza dough with lots of homemade ingredients on top - or mató - a soft fresh cheese served with honey). I will start with some candy for your eyes and in coming days you will see the different stalls and local people dancing in colorful costumes. The sweets I tried were extra size, delicate and flashy in colors. Great colours, and I know they musts be tasty. I especially like the lower right--raspberries? 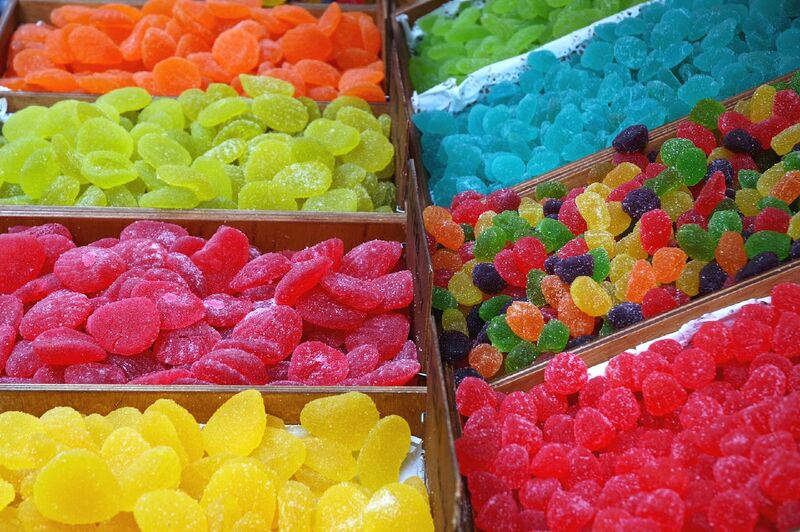 Such tempting colorful candies! I'm drooling right now! Some people don't have a sweet tooth. Hard for me to believe. drooooolll! slobber,,, yumm..... mmmmmm lollies! mmm..the blue ones seem interesting! Thanks Luggi. I agree with you. I also wonder why. John, I think I have helped candy retailers sell some stuff this morning! Kris, I think we have the same feel for colors. I definitely prefer those. Fabulous photo - the colours just jump off the page! Such vibrant colours Carlos........where are the fizzy cola bottles and the gobstoppers? Ha sido un gustazo conocerte. A ver si un día salimos de cacería de fotos. Me gustó la imagen de los chuches, en mi país los llamamos gomas. Uaaahhh! Increíble...Dóna ganes de sortir a comprar llaminadures ara mateix...quina textura més real. Enhorabona!